Five years later – her fierce desire to reunite with Roland first obstructed by war and then, in secret, by her father and brother – Janine would build a new life in New York with a dynamic American husband. That his obsession with Ayn Rand tormented their marriage was just one of the reasons she never ceased yearning to reclaim her lost love. Investigative reporter Leslie Maitland grew up enthralled by her mother’s accounts of forbidden romance and harrowing flight from the Nazis. Her book is both a journalist’s vivid depiction of a world at war and a daughter’s pursuit of a haunting question: what had become of the handsome Frenchman whose picture her mother continued to treasure almost fifty years after they parted? It is a tale of memory that reporting made real and a story of undying love that crosses the borders of time. Leslie Maitland is a former New York Times reporter who specialized in legal affairs and investigative reporting. She joined the Times after graduating from the University of Chicago and the Harvard Divinity School. After breaking stories on the FBI’s undercover “Abscam” inquiry into corruption in Congress, she moved to the New York Times Washington Bureau to cover the Justice Department. After leaving the Times, she began, among other projects, extensive research for this book, including five reporting trips to Europe and one to Cuba. She has frequently participated in programs discussing literature on The Diane Rehm Show on National Public Radio. Maitland lives with her husband in Bethesda, Maryland. 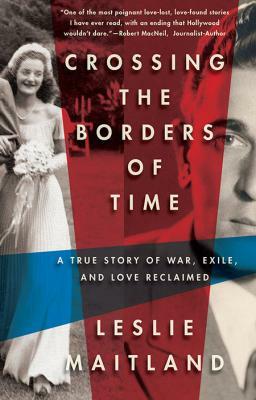 “A love affair thwarted by war, distance and a disapproving family became the defining story of Leslie Maitland’s mother's life, and by extension, her own. What happens next is surprising indeed.” —Cokie Roberts, NPR and ABC News analyst and author.